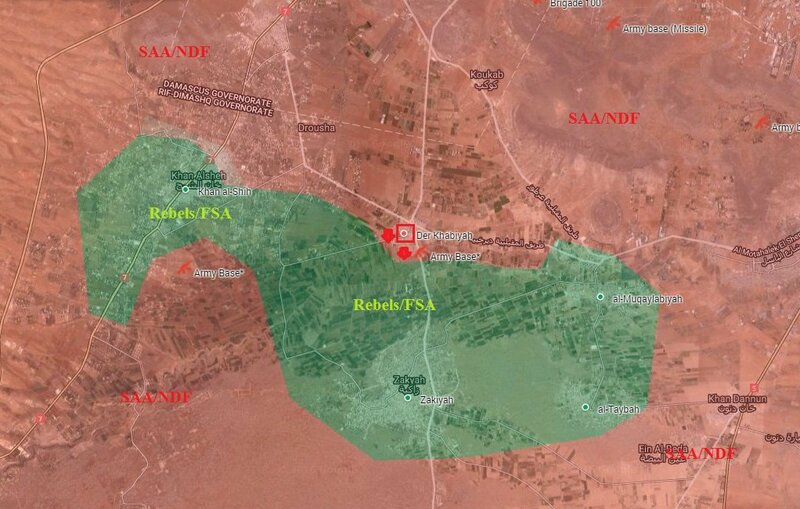 Following a firece clash with Jabhat Fateh Al-Sham (formerly Al-Nusra Front) and Ahrar Al-Sham terrorists, the Syrian army and the National Defense Forces (NDF) took control of the town of Der Khabiyah in the Western Ghouta region. The operation in town, located southwest of the Syrian capital – Damascus – took place after the successull liberation of the nearby Air Battalion Base. The joint terrorist forces withdrew in the direction of Khan ash-Shaykh.